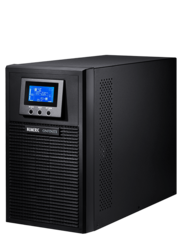 Pioneers in the industry, we offer numeric online ups from India. Onfiniti is available in the 1 to 10 kVA range. It offers true double conversion online power protection for critical industry loads. Onfiniti UPS is also solar compatible. It is suited for workstations, ATMs, cash recyclers, POS, security surveillance equipment, network accessories and medical diagnostic equipment. Looking for Numeric UPS ?